We were looking for one last Sunday lunch in Kent for 2012 and settled on a roast at Chapter One, Farnborough in Bromley. Booking was easy through their website. The venue itself was nicely decorated and the chairs were very comfy. Claire had 3 courses, being the deep fried fish cake, the roast sirloin of beef and the pecan financier. I chose the chicken and ham terrine, roast beef and chocolate delice. The whole meal was excellent, each course complimented the last. The service here was efficient and polite. 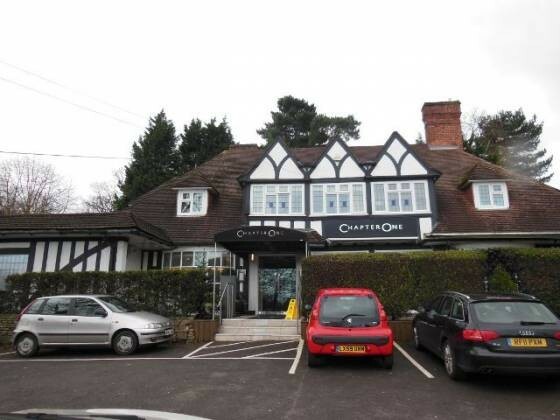 Overall, an excellent Sunday lunch at Chapter One in Farnborough, Bromley, Kent. 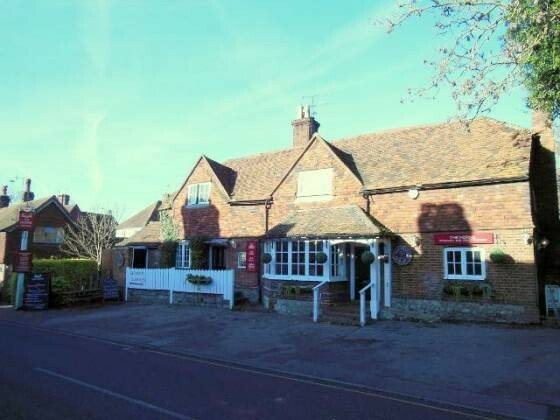 We were recommended to visit Bo Peep in Chelsfield, Bromley in Kent. I gave them a call and was able to book a table to the following day. This was a 14 century country-inn – it was quite cold outside which unfortunately meant it was also cold inside. There was a large fire, but this was in the main part of the restaurant, whereas we were in the annex. Thankfully though, they put the heating on for us! Our starters were good. Our main courses were excellent – the roast lamb was probably some of the best I have ever had out, the roast potatoes were crunchy, the selection of vegetables were also very good. The service here was “ok”, could have been quite a bit better, although they were very busy. 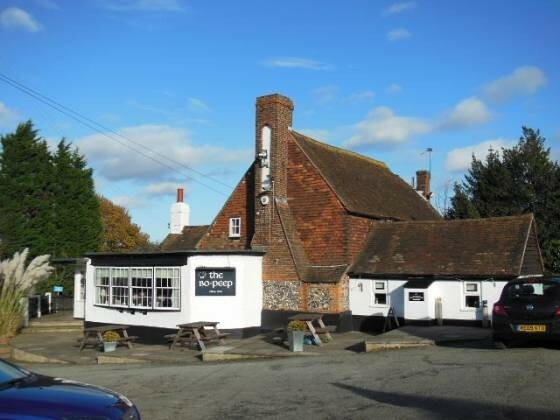 Overall, a 4 out of 5 review for The Bo Peep in Chelsfield, Bromley. 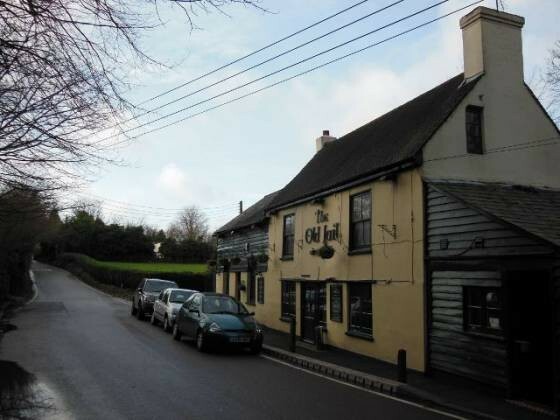 After a bit of exploring online, I decided to give The Horns in Otford, Sevenoaks a shot and we weren’t disappointed. The service here was top-notch, we really felt they cared that we enjoyed our time here. The wood burning stove gave the venue a nice, warm, atmosphere. The food quality was excellent, the quantity was enough to keep me satisfied – I did still have a sticky toffee pudding for dessert (which was excellent). The roast lamb was very tender, the roast potatoes were good (although would have preferred a bit crunchier) and the vegetables were nice. The Yorkshire pudding was fantastic, light and airy whilst still being crunchy. Overall, The Horns received a very well deserved 5 plate score (Top Rated). 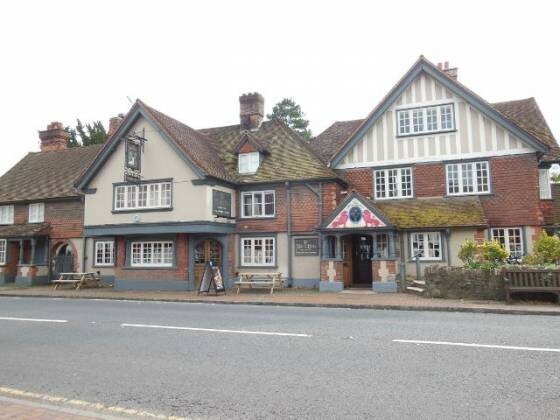 I have been wanting to visit The White Hart in Brastead, part of Sevenoaks, Kent for a while now. After having lunch on a Saturday at their sister pub, The George in Hayes, we decided to visit them. The venue itself was a perfect, contemporary country inn, with wooden beams, log burning fires and rustic carpet. The service was good, one or two mistakes but mostly rectified without an issue. The Sunday roast itself was excellent with great meat (I had lamb, Claire had chicken), interesting vegetable medley, good roast potatoes and nice gravy. A good selection of desserts, I had an upside-down sundae. Overall, an excellent venue for a celebratory Sunday lunch.